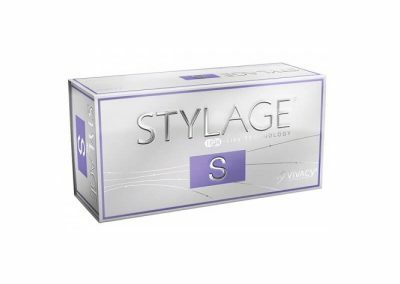 The Stylage products consist of innovative monophasic gels consisting of cross-linked hyaluronic acid (patented IPN-Like technology) and a natural antioxidant to reduce the visual effects of ageing. They can be used for filling and smoothing wrinkles, natural lip correction, volume restoration, hydration, chin re-modelling, tear trough correction, neck, décolleté and hand rejuvenation. The addition of mannitol to act against free radicals provides optimal resistance to degradation. 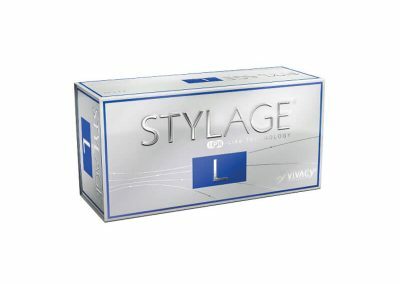 As a result, this innovative formula creates a safe, long-lasting product for all types of wrinkles and all skin types. The gels have optimized elasticity for easy modelling and reshaping, even for delicate areas like the nose, temples and hands. 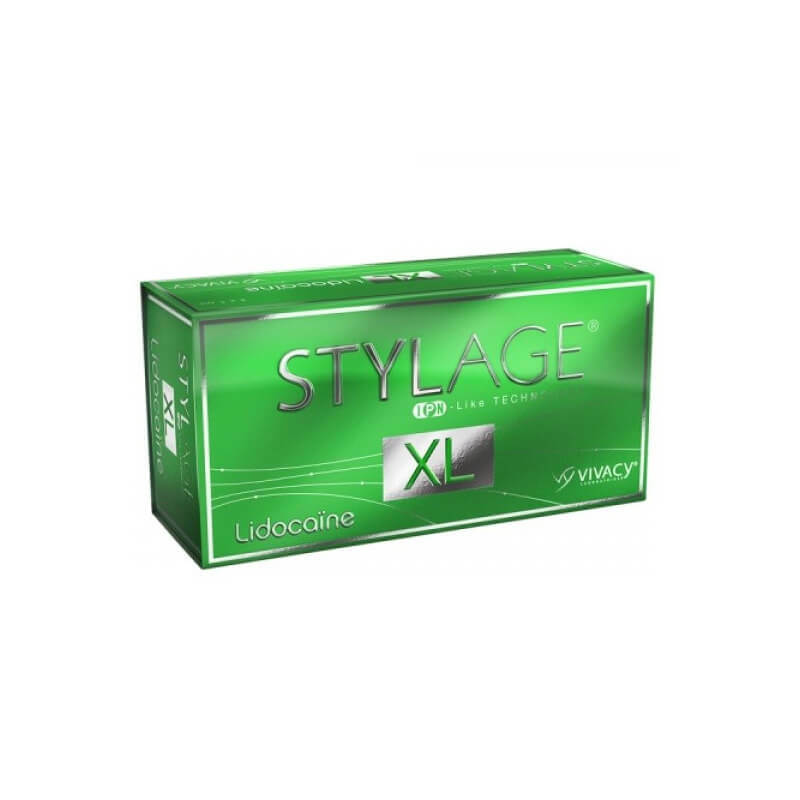 At the same time, they have high viscoelasticity for good filling capacity and natural aesthetic results. 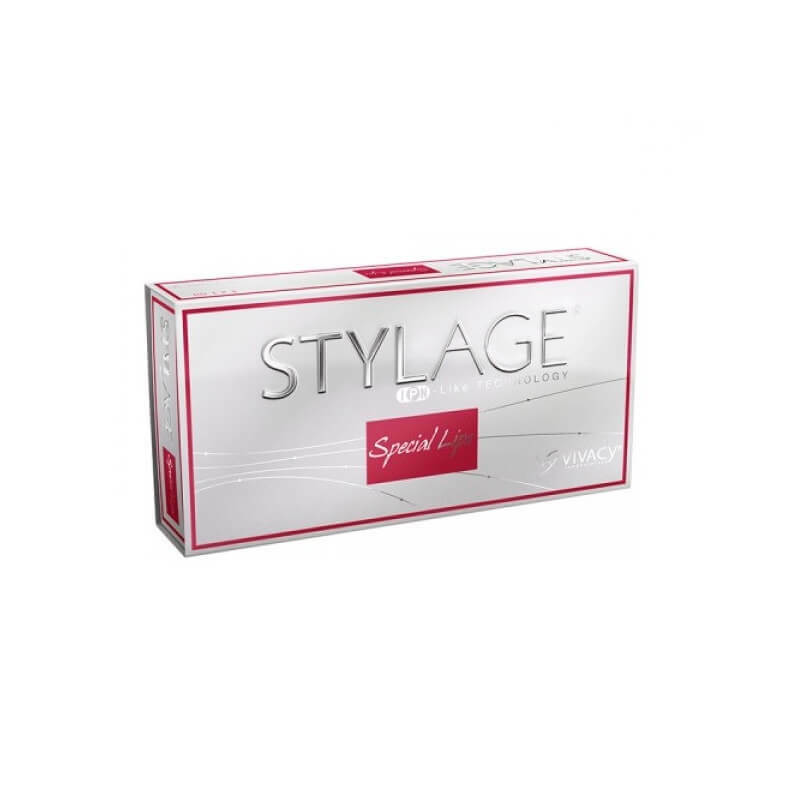 Stylage S is a cross-linked hyaluronic acid used in the superficial to mid-dermis for correction of fine lines and superficial wrinkles as crow’s feet, glabellar frown lines, perioral lines and tear trough area treatment under the eye. 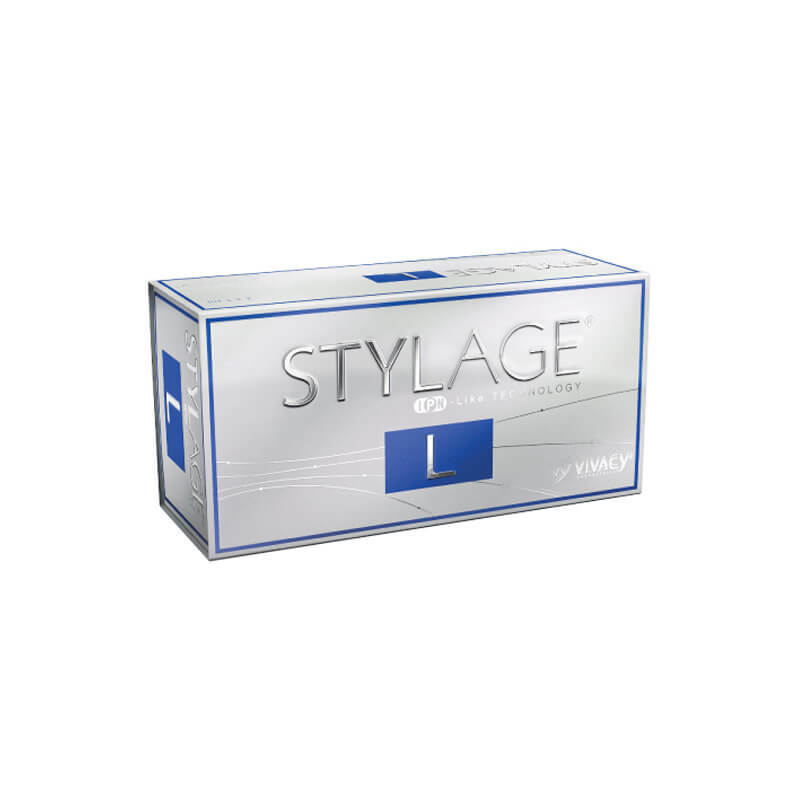 Stylage S improves the appearance of superficial lines. 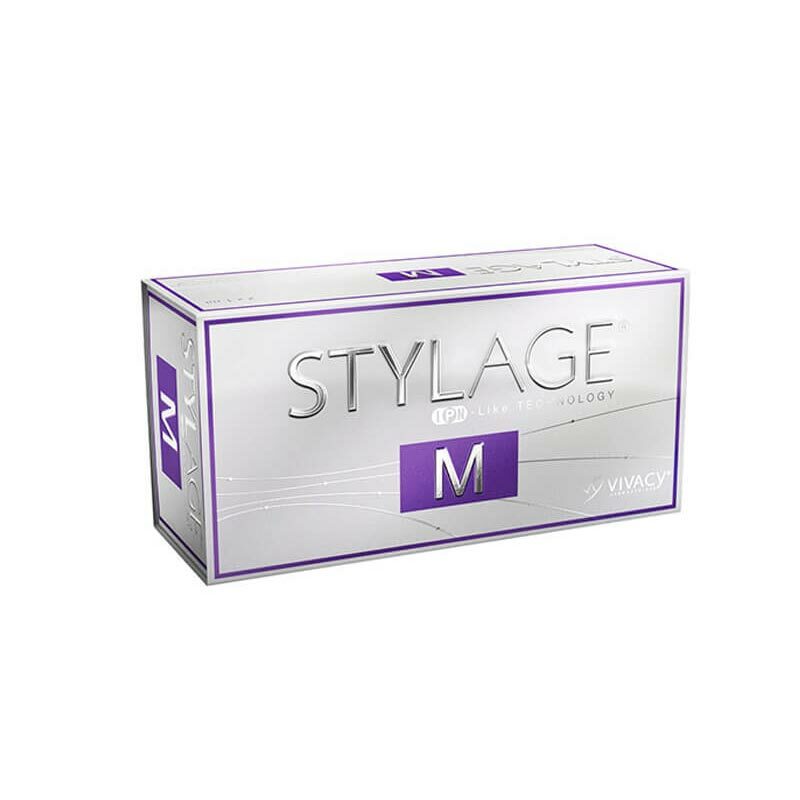 Stylage M is a cross-linked hyaluronic acid used in the mid to deep dermis for filling of medium to deep naso-labial folds, smoothing of wrinkled and sagging areas, marionette lines, cheek wrinkles, hollow temple area, nasal hump reduction or nasal tip lift, earlobe reshaping. 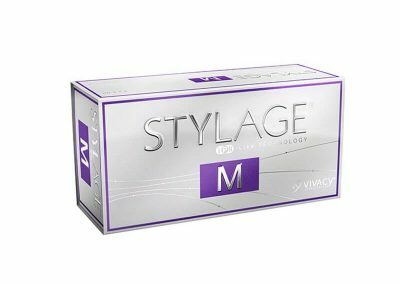 Style M improves the appearance of moderate to severe wrinkles. 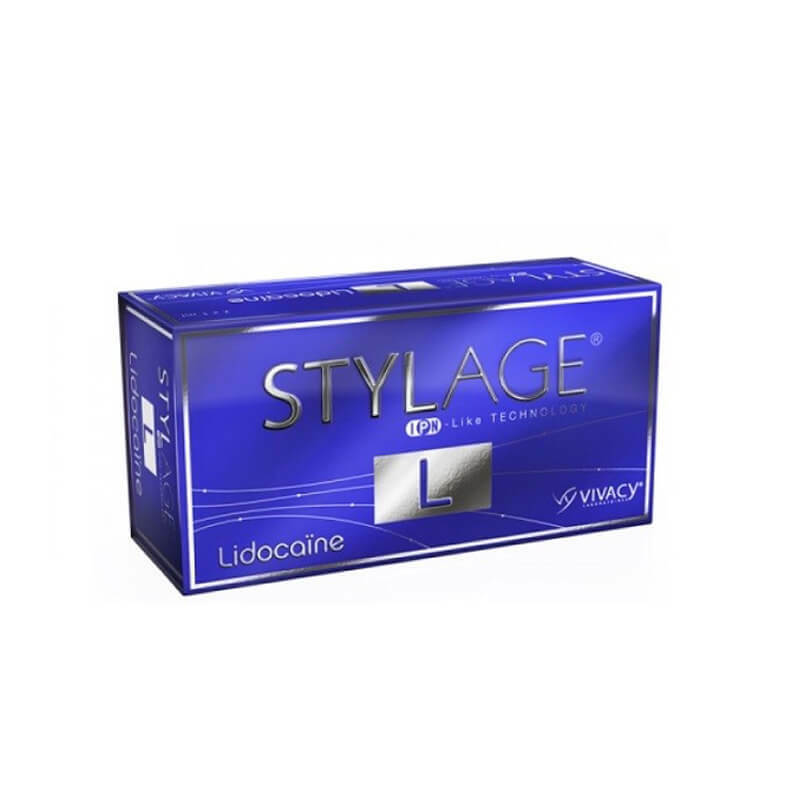 Stylage L is a cross-linked hyaluronic acid used in the deep dermis for deep wrinkles, severe naso-labial folds, oral commissures (marionette lines), hand rejuvenation including volume loss treatment on the back of the hands. Stylage XL is a cross-linked hyaluronic acid used in the deep dermis or subcutaneous layer for the treatment of facial volume defects, the restoration of facial contours, cheekbone area augmentation and the treatment of slight facial ptosis (skin sagging). Stylage XXL is a cross-linked hyaluronic acid used to the correction of deep to very deep wrinkles and helps treat mature skin which shows signs of sagging and facial hollows. 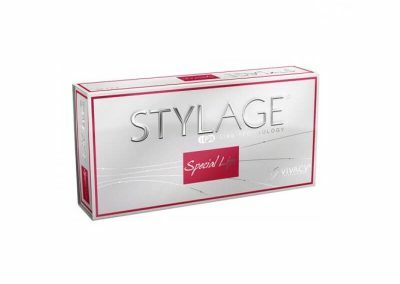 Stylage Lips is a cross-linked hyaluronic acid used in the superficial to mid dermis for lip volume augmentation, lip contour definition and correction, correction of a disproportionate upper or lower lip size, reducing perioral lines or smoker’s lines above the upper lip and restoring lip hydration (treatment for red dry lips). 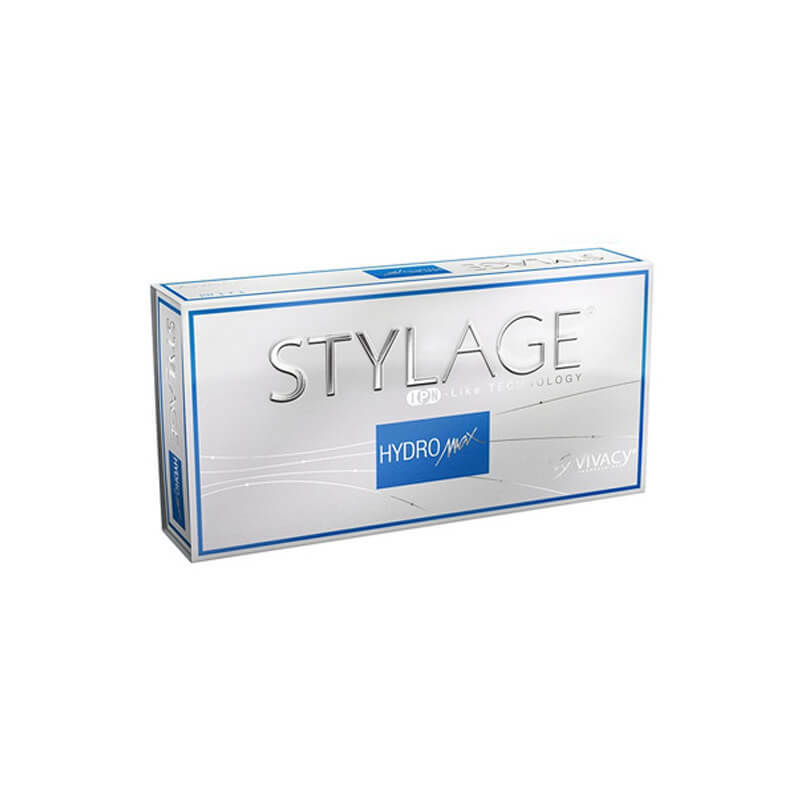 Stylage Hydro is a non cross-linked hyaluronic acid used the superficial dermis using mesotherapy techniques for treatment of moderate dehydration and skin laxity, revitalisation of the face, neck and décolleté area and hand rejuvenation. 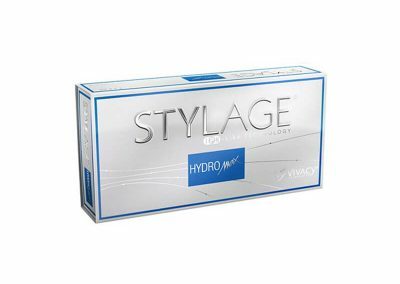 Stylage Hydro Max is a cross-linked hyaluronic acid used in the superficial dermis using mesotherapy techniques for the treatment of very dry/dehydrated skin; deep, instant hydration or a dermal restructuring treatment, skin elasticity improvement, revitalisation of the face, neck and décolleté area and hand rejuvenation. 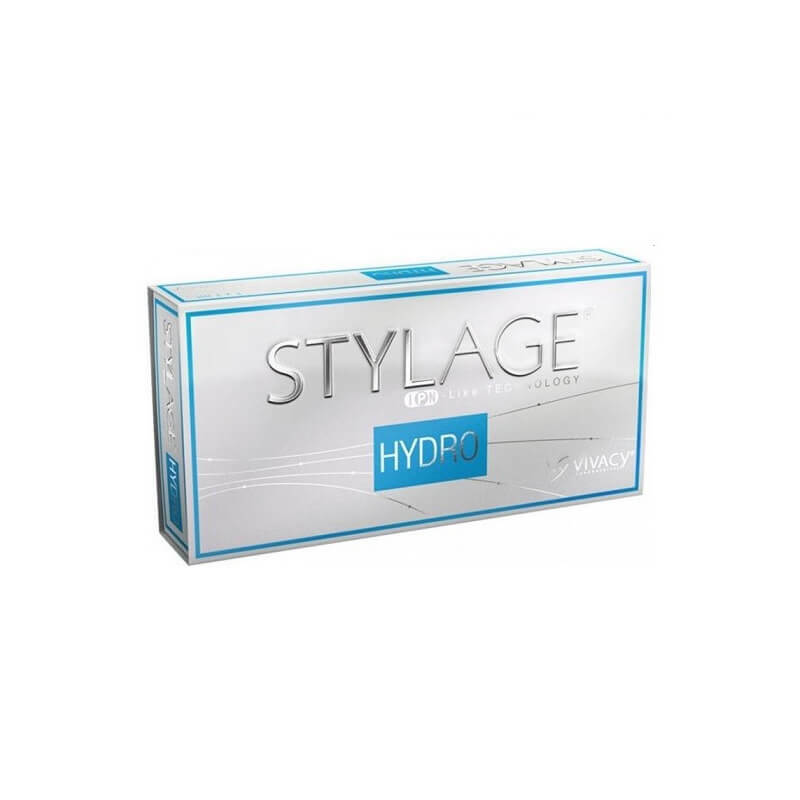 Stylage Hydro Max is a mesotherapy product, so treats the signs of ageing and skin hydration and not wrinkles. 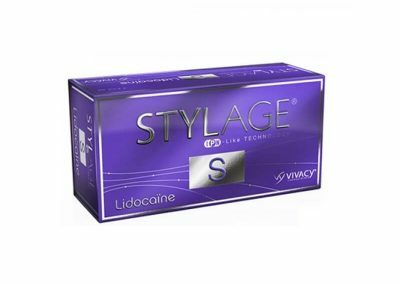 Stylage S Lidocaine a cross-linked hyaluronic acid is used in the superficial to mid-dermis for correction of fine lines and superficial wrinkles as crow’s feet, glabellar frown lines, perioral lines and tear trough area treatment under the eye. 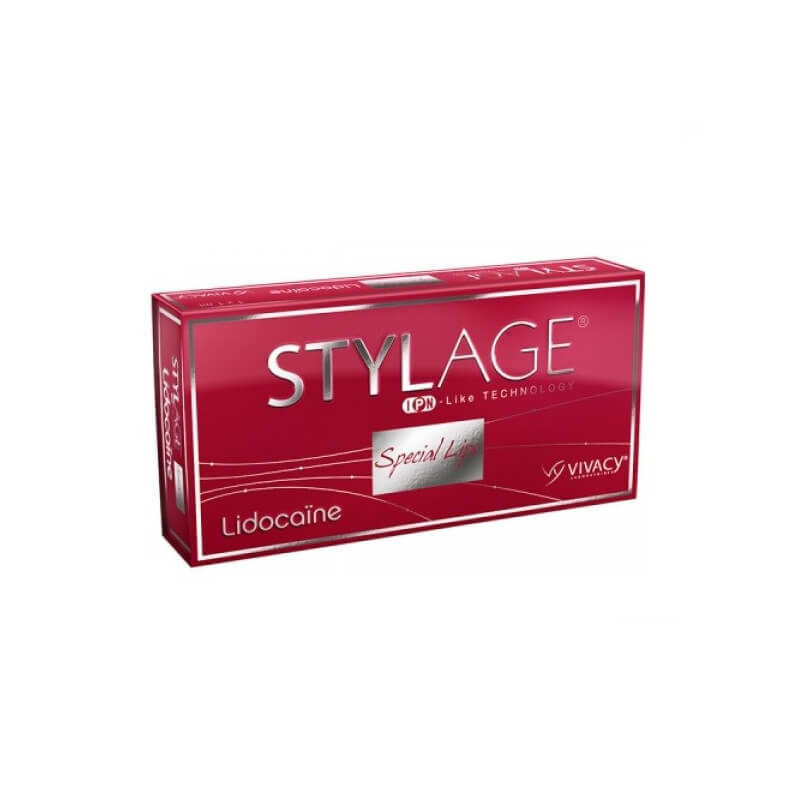 Stylage S Lidocaine improves the appearance of superficial lines. Contains lidocaine. 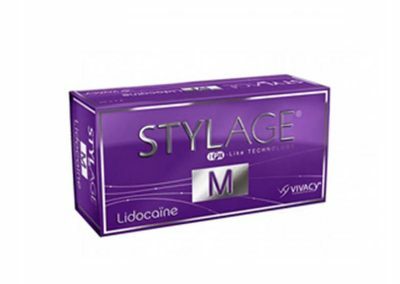 Stylage M Lidocaine a cross-linked hyaluronic acid is used in the mid to deep dermis for filling of medium to deep naso-labial folds, smoothing of wrinkled and sagging areas, marionette lines, cheek wrinkles, hollow temple area, nasal hump reduction or nasal tip lift, earlobe reshaping. 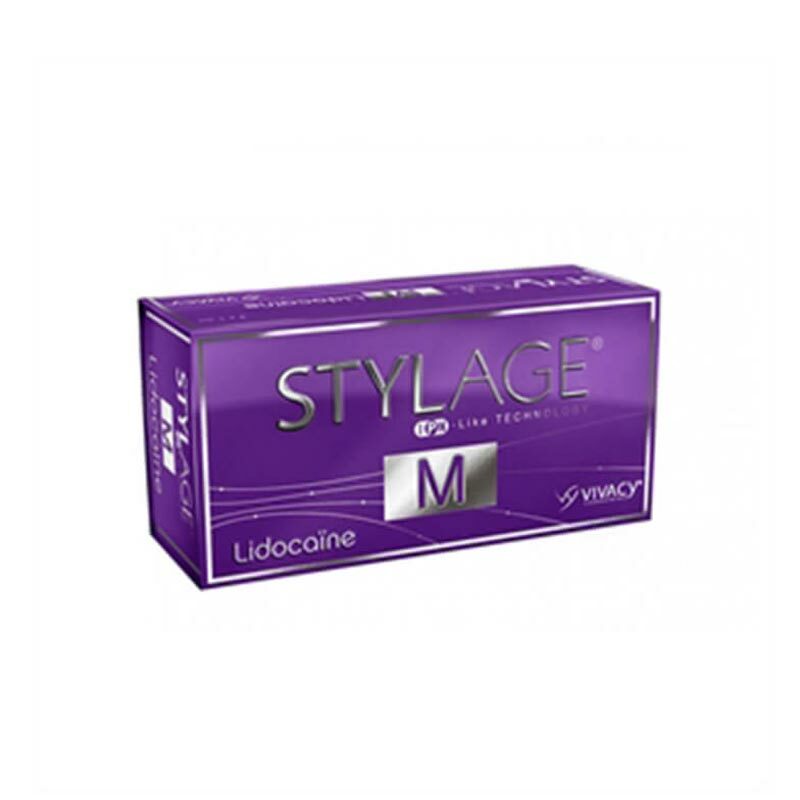 Style M Lidocaine improves the appearance of moderate to severe wrinkles. Contains lidocaine. 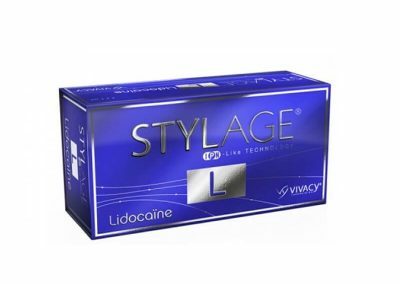 Stylage L Lidocaine is a cross-linked hyaluronic acid used in the deep dermis for deep wrinkles, severe naso-labial folds, oral commissures (marionette lines), hand rejuvenation including volume loss treatment on the back of the hands. Contains lidocaine. Stylage XL Lidocaine is a cross-linked hyaluronic acid used in the deep dermis or subcutaneous layer for the treatment of facial volume defects, the restoration of facial contours, cheekbone area augmentation and the treatment of slight facial ptosis (skin sagging). Contains lidocaine. 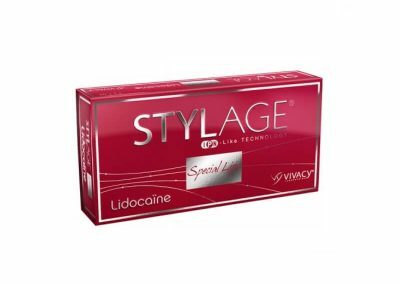 Stylage Lips Lidocaine is a cross-linked hyaluronic acid used in the superficial to mid dermis for lip volume augmentation, lip contour definition and correction, correction of a disproportionate upper or lower lip size, reducing perioral lines or smoker’s lines above the upper lip and restoring lip hydration (treatment for red dry lips). Contains lidocaine.